If you’re in the market for a baby play or activity gym, boy do we have the activity gym for you. 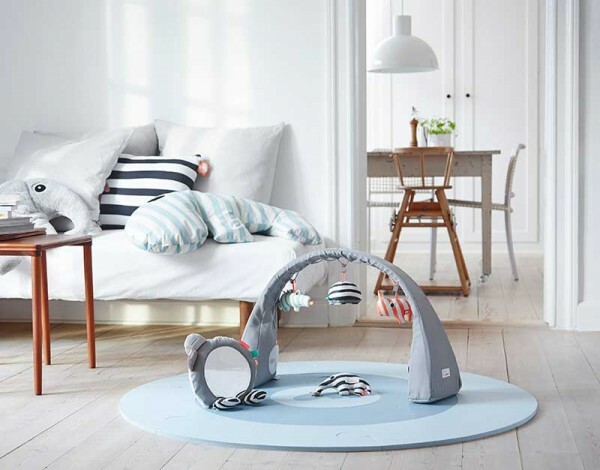 Recently winning the prestigious Red Dot award, your baby can have award winning fun with this contemporary Danish-designed activity gym from Done By Deer. 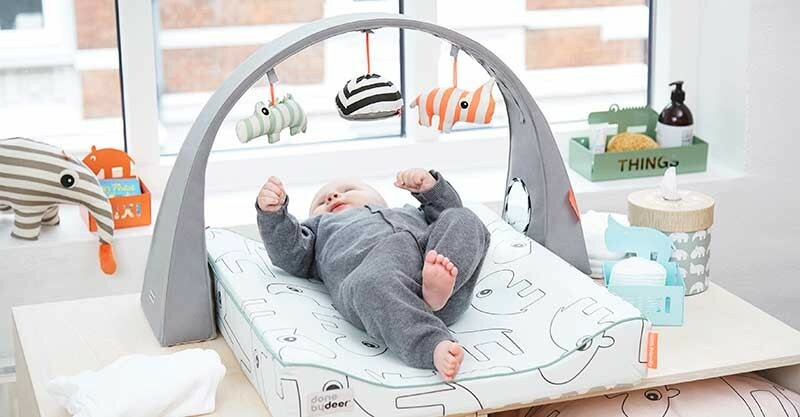 As a winner of the prestigious European 2016 Red Dot Award for Product Design, we know the Done By Deer Activity Gym is a toy destined to be much loved by babies the world over. We love the free-standing design of the Activity Gym, enabling it to be easily picked up and moved wherever entertainment is needed. Done By Deer make it easy to custom fit the gym to suit your baby’s reach with its adjustable height and width. 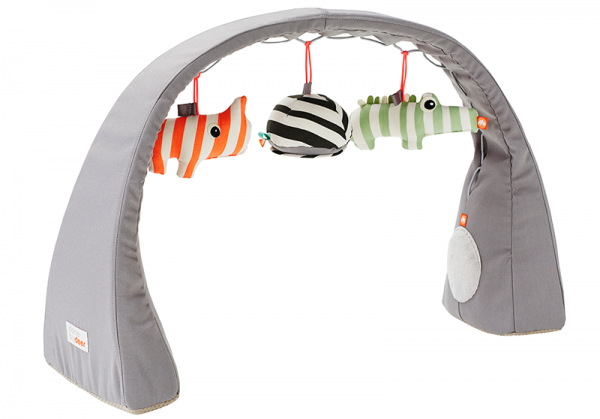 Along with side bar mirrors, three toys are included with the Activity Gym – Croco, Nozo and a hanging mirror – all of which crackle and rattle when touched to encourage baby to interact with the toy. 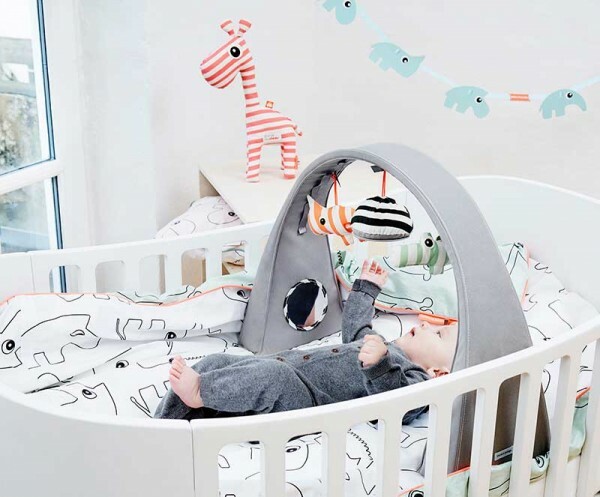 Distributed in Australia via the super stylish Danish By Design team, the Done By Deer Activity Gym is priced $129.95 and available from Urban Baby.